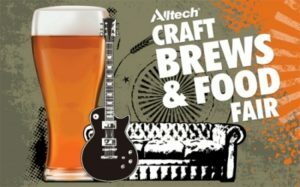 Trouble Brewing will be at the third Alltech Craft Brews & Food Fair at the Convention Centre Dublin. The fair will feature local and international craft breweries as well a host of artisan food producers. Trouble Brewing will be serving some of our regular beers in addition to our latest one-off brew: Wired Oatmeal IPA.